Almost 30 percent of Tunisians buy second-hand clothes, according to the Trade Union Chamber of the Import, Export and Transformation of Second-hand Clothes in Tunisia. “We sell 10,500 tons of second-hand clothes per year. It is often a habit for Tunisians to buy from flea markets because new clothes in Tunisia are quite expensive,” Fathi Bezrati, president of the chamber, told Wamda. He added that in Tunis only, there are 1,600 stores that sell second-hand clothes and between 150,000 and 200,000 street sellers. The number fluctuates as most of those sellers belong to the informal economy. If buying second-hand clothes has become mainstream in Tunisia, buying them online would be a one step further. 29 year old entrepreneur Ameni Mansouri, who used to do consulting in pharmaceutical labs was used to resell through Facebook groups clothes she no longer needed. When she had coffee with her cofounder Ghazi Ketata, two years ago, she was thinking of making it more professional: buying and selling second-hand clothes through an organized platform. 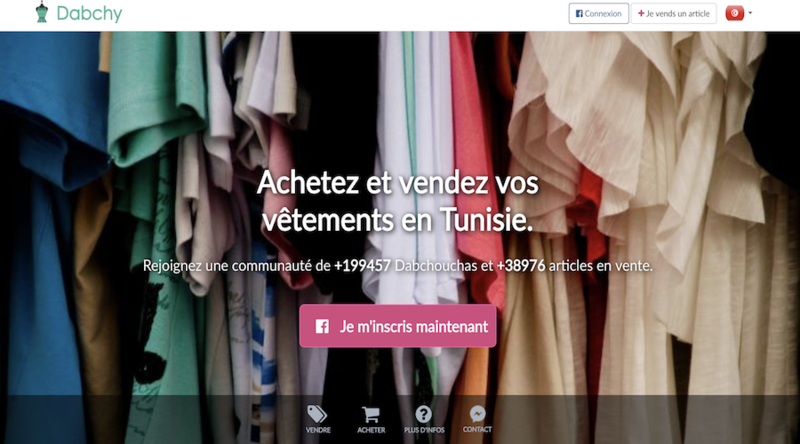 In 2016, Dabchy, a marketplace that connects buyers and sellers in Tunisia was born, following 17 months of market testing. Now, it has 220,000 users, most of whom are ladies, 10,000 sellers and has just raised $44,700 from Flat6labs in Tunis, where they have been chosen to be part of the first batch of entrepreneurs. “Selling through Facebook groups was not organized. Some of the shoppers wondered “where can I find this item that someone posted two months ago?” Others had troubles in getting their payments or solving an issue when the bought clothes didn’t match the picture. 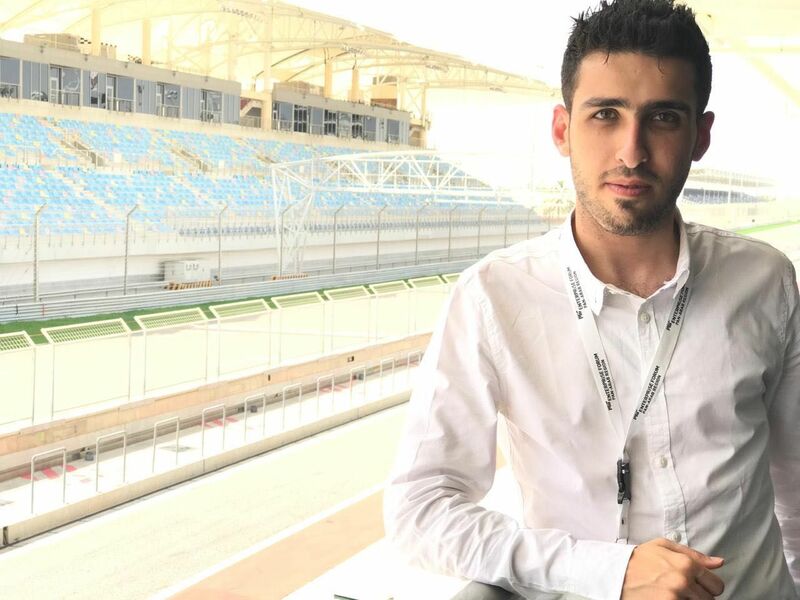 I wanted to make something more professional with Dabchy,” Mansouri told Wamda. During her first year of operation, Mansouri was focused on creating a community with the ‘Dabchouchas’ (the users of the website). “We worked on the platform, so that the girls can have an online wardrobe, follow the sellers they like the most, and organize their account based on their favorite brands,” added Mansouri. Together with Ketata, they invested between $15,000 and $20,000 of personal savings to develop the community and the platform. “That is why we selected them for Flat6labs program. They caught our attention because they managed, with no marketing plan, to build a strong community around them in less than a year. We saw a potential for them to attract up to one million users with good communication,” said Yehia Houry, managing director of Flat6labs. The second step was to offer what Facebook or informal selling did not: securing the transaction. Mansouri adopted a selling model similar to that of ebay and Amazon’s, but on a smaller scale: The vendor sells on Dabchy and only gets paid once the product is delivered to the buyer who also pays through the platform. 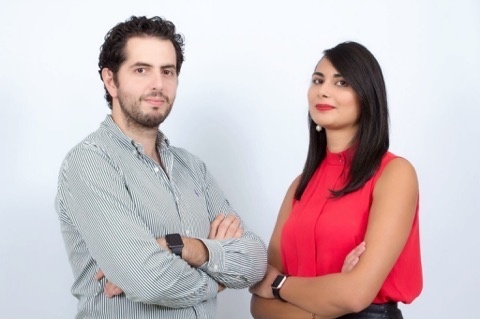 During the first year of operation, Mansouri and her cofounder Ketata as well as CTO Oussama Mahjoub who joined them later, did not take any commision fees on the purchases through her platform. Starting the second year, they allocated a 20 percent commission fee on every transaction to turn her business into a profitable one. However, it was challenging to convince the users about the utility of adopting the platform when concluding the purchase. Many would still attempt to check the products on Dabchy, then contact the vendor offline to buy, to avoid paying the commission fee. Despite that, the security measures she offered would still drive clients towards her platform, she believed. Dabchy has also enabled payments through RunPay, a payment solutions provider. The buyer takes an online code then goes to a RunPay self-service payment terminal found in libraries and malls among others, to pay in cash. In 2017, Mansouri added online payment to her website. With this, she was able to cater to her audience as most of the users were between 14 and 25 years old, many of whom are still students and young ladies, who prefer time and cost-efficient solutions. Most of them had already prepaid accounts (with e-dinars) through the Tunisian Post Service, which is mandatory to have in order to register in any Tunisian college. Along with their advanced e-payment techniques, Dabchy is also trying to offer pay on delivery, but under the helm of the platform: The buyer hands the price of the purchased item to the Dabchy delivery officer, who will put the money in a Dabchy account. “The buyer will have 24 hours to request a refund before Dabchy transfers the money to the seller,” she said. When it comes to the delivery, Dabchy collaborates with Aramex, and has signed a partnership with the Post Office to secure a fast delivery of goods. They manage to deliver their packages between two and 10 days maximum. Dabchy’s users search for the same items they seek at flea markets, which are imported clothes from the USA and Europe. Though she did not disclose the value, Mansouri asserted her profits are doubling on monthly basis, since they adopted the commission-based model. They close between 300 and 350 transactions per month. Their monthly profits reach $2,000, and their are witnessing between 30 and 50 percent growth month-on-month. The team also developed a mobile version of Dabchy on both iOS and Android. The website is performing better than the app but a lot of the users are more connected to their mobile devices and go the app to shop then on a website to buy. 80 percent of the users buy on the website whereas 20 percent are using the app. The iOS app was downloaded 7,000 times in the last six months and the Android one, 25,000 times. Winning several competitions and getting various sponsorships has also contributed to covering the team’s operation expenses, including the cost of creating mailing lists, and phones bills, etcetera: Winning a Mailchimp competition gave them access to free mailing service, and being selected by Facebook to join FBstart granted them the access to some of Facebook’s technical tools. 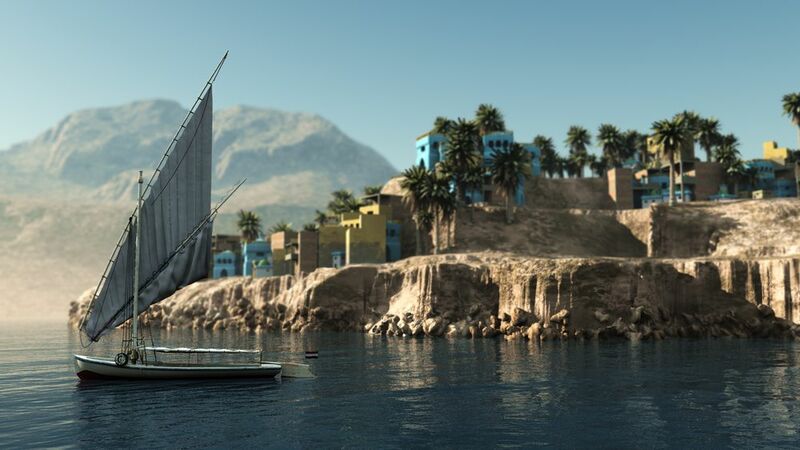 With the money raised through Flat6Labds, Dabchy will be expanding its business towards Algeria and Morocco where the platform has a growing community (up to 10,000 in each country). The team seeks to reach at least three million women in Tunisia and 15 million in the Maghreb. Next, Dabchy will be offering a ‘VIP service’ to authenticate higher end clothes or accessories which value exceeds 300 Tunisian Dinars (US$ 122). “We want to offer a service that can allow us to become a platform for luxury second-hand clothes as well so we can target markets such as Dubai for instance,” Mansouri said. She said that since there is almost no law that protects against counterfeiting in Tunisia, she recommends her sellers to indicate if they are selling fake items rather than scamming the buyers. Dabchy is currently being accelerated at Flat6labs. 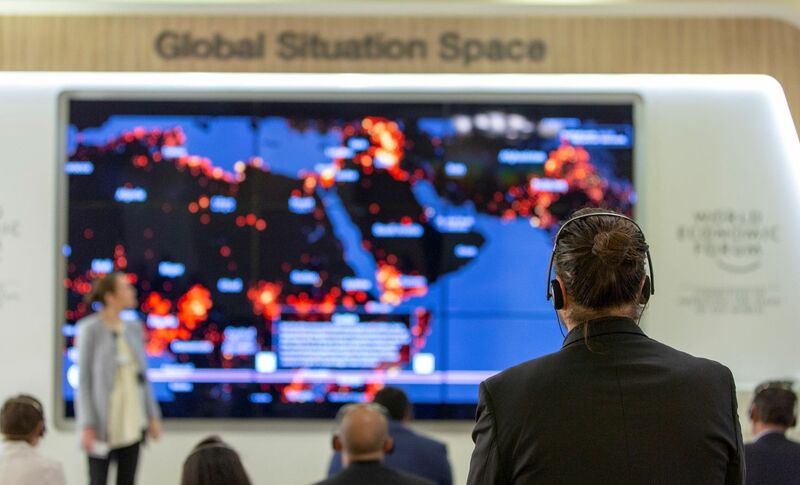 “We are working with them on how they can improve their business model not only through commission but also by developing a physical presence, just like Amazon is doing, in order to reconnect with clients,” said Houry. In that direction, Dabchy organized physical sales events in Tunis with their sellers in order to maintain the community spirit.